Around the world, concerns are rising about market power. 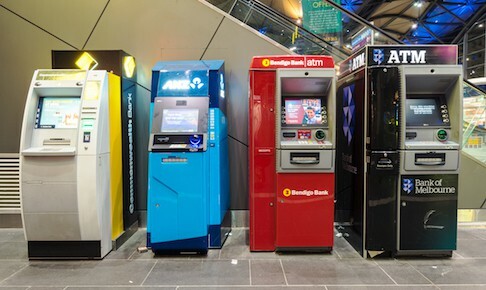 In Australia, sectors like supermarkets, banking, and telecommunications are mostly served by a handful of large firms. Some argue that the power of large firms in Australia has grown, hurting consumers and other firms or even pushing down wages. Others are concerned that while online platforms disrupt incumbents, they also exercise market power in their own right. At the same time, the government is progressively implementing recommendations of the 2015 Harper Competition Review, including more recourse for small business, and pushing for more competition in human services like health and public housing. It has relaxed restrictions on cross-ownership in the media, on the basis that changing technology has intensified competition. And it has ordered an inquiry into competition in financial services. But some argue there’s still much work to be done, including addressing sectors where competition is not working for many consumers, getting enforcement right, and refining the rules for new digital platforms and data. How valid are concerns about competition and market power in Australia? Where is competition working less well than it could, and what are its limits as a policy tool? What else should policymakers do to ensure competition benefits the community? Caron Beaton-Wells is a Professor specialising in competition law at the Melbourne Law School and Director of the University’s Competition Law & Economics Network. Her research and teaching in this field extends beyond the law and economics to institutional, political and sociological dimensions of competition regulation, and her recent research projects have focussed on cartel enforcement, supermarket power, petrol pricing, and the interface between competition and consumer law. She contributes to the public discourse in Australia and around the world on significant competition law-related issues and on bringing together and fostering constructive debate and shared learning amongst stakeholders. Caron is a member of several national and international editorial and advisory boards and is also a member of the Law Council of Australia’s competition and consumer committee and a member of the Victorian Bar. Dr Stephen King joined the Productivity Commission as a Commissioner from 1 July 2016. He was recently a Professor of Economics at Monash University in Melbourne where he also held the position of Dean of the Faculty of Business and Economics from 2009-2011. Prior to joining Monash, Stephen was a Member of the Australian Competition and Consumer Commission (ACCC), where he chaired the Mergers Review Committee. Stephen’s main areas of expertise are in microeconomic theory, competition economics, regulation and industrial organization. His research has been published widely, including articles in major international economics journals. Stephen is an adjunct professor at Monash University, a member of the Academy of Social Sciences in Australia and a Lay Member of the High Court of New Zealand. Dr King is currently working on the Human Services inquiry and the inquiry into Competition in the Australian Financial System.